An authority, borne of his poetry, quickly made him a folk icon – someone to symbolize their hopes and dreams. So much so that they made him into a mythical figure, able to see into the future. His poetic journey, beginning with From the Land of Bilqis (1961) and ending in Trick of the Lamps (1989), provides insight into the events of the past, present and future – able to touch upon the problems we still face today. As for his prose, it began with Yemeni Issues (1978) and the controversial A Journey in Yemeni Poetry, Ancient and Modern (1978), addressing the evolution of Yemeni poetry, from its ancient origins to contemporary work. Abdullah al-Baradouni’s bold perspective invited allegations of traditionalism. His style was the result of a traditional religious education which did not observe modern research methods of applying footnotes and using technical terms. He attended al-Shamsia School in Thamar, and later al-Ilmiah School in Sana’a, where he earned a degree (similar to a diploma) in the Arabic language and its sciences. His detractors criticized him for disregarding the academic tradition as he did not cite references, but this may have been due to his blindness; instead, he relied on his memory. Others classified his works as literary criticism, not history, because contemporary methodological tools used in writing history were not available to him. Here, a question presents itself: was al-Baradouni really a historian? The first ambiguous event in the life of al-Baradouni was his birth. He was born Abdullah Saleh Hassan al-Shahaf, in the year “the airplanes came to Thamar”, estimated to be 1922, when airplanes made their first strikes in the war between the British Empire and the Mutawakkilite Kingdom. However, the poet Ibrahim al-Hadhrani stated that he witnessed the event when he was nine years old, indicating that the strikes took place around 1928–1929. Al-Baradouni’s official birthdate is 1 January 1929 – the first day of the year, similar to that of many Yemenis whose birth was not recorded. He is then perhaps born in the late 1920s, and like many Yemenis in areas where illiteracy is the norm, history is recorded through major events – years of plague or war. For example, when asked about a person’s birth, the response would be, for example, “he was born before the year of the widespread death”, or “he was born the year the planes came to Thamar”. No matter how immersed al-Baradouni is in discussing political or social events, there is poetry on almost every page of his books. He uses poetry not only as a tool in the writing process but also as its strongest advocate. In From the First Poem to the Last Bullet (1993), al-Baradouni uses rhetoric as a method to analyze Mohammed Mahmood al-Zubairi as a poet and as an individual. As the title suggests, he follows al-Zubairi’s life from the first moments of his poetic genius in Adulation of a Religious Book (1938) to his assassination in the Barat region – where he decided to settle, aiming to establish tribal-political ties. This leads us to ask ourselves: how can al-Baradouni document al-Zubairi’s history through his poetry? He follows al-Zubairi’s poetic development, and the literary significance of his work in certain eras, attempting to synthesize them into a history written in poetry. From al-Zubairi’s position against certain pretensions, he analyzes the man in his ordinary life, as an individual with political and social beliefs which were reflected in his dress and actions until the last bullet. In this way, al-Baradouni attempts to analyze and gather what he knows and remembers of the politician and poet in his own style; for example, his interest in the ordinary events of al-Zubairi’s life, such as his visit to al-Shamsia school, where he led the students in prayer. Al-Baradouni noted the chapter he recited, a long chapter not usually recited by the students of the school during prayer for fear of making a mistake or forgetting a verse. Al-Baradouni was surely a witness to the event; it was cemented in his mind, especially since it had occurred when he was settled in Thamar, where he was paid in kodam (a dry bread made of various grains) for his work. Ordinary events demonstrate the outlook of historical, political and social figures, and it was for this reason that al-Baradouni was meticulous in recording al-Zubairi’s dress. He even recorded issues of theological jurisprudence which might have an overt political purpose, but contain kernels of political opposition. In Republican Yemen (1983), the author discusses the meaning of the title in the Hegelian-Marxist context. According to the principle of historical transition, cultural and political controversy and class wars have always preceded popular revolutions in the north and south of Yemen, influencing one another, bringing forth new beliefs which overcame the old era, heralding the age of the republic. However, the age of the republic still faced a problem – the masses still had the same grievances. Al-Baradouni devoted a chapter of his book to this. Al-Baradouni’s perspective on history led to his opening up new ways to see the present, which are not necessarily positive, but it is vital to be aware of and think from his viewpoint. The future may bringhardships, but they must be overcome without blaming the past – as with the relationship between the republican and imamate eras. It is fascinating that al-Baradouni, who suffered for his public opposition to the violent oppression of the imamate, would defend it. The writer overcame the past, dedicating many chapters to old and new problems in the age of newborn republics. However, he also continued to record the events of the imamate, because, according to him, “nothing defeats the influence of history like writing about it”. In Folk Literary Arts in Yemen and Folk Culture: Yemeni Experiences and Proverbs (1988), al-Baradouni documents the folk heritage – songs, stories and mythical figures – of the country comprehensively. The rarity of Yemeni heritage being recorded accords special significance to these two volumes. In addition, al-Baradouni transcends documentation, instead analyzing texts, looking into their evolution, and searching for their social significance and their relation to the land, environment, women and mythical figures such as al-Jarjouf and djinn. And so, the writer places his analysis in a historical and literary context; for example, in his historical analysis of the words ‘imam’ and ‘sultan’, he demonstrates the likelihood of their utterance indicating a different time and place; imam is used in Yemen to refer to a ruler, but sultan was also used to refer to a ruler, but at specific points in Yemen’s history. In Culture and Revolution in Yemen (1991), al-Baradouni uses the same method to chronicle various cultural aspects of Yemeni society, from the start of the expulsion of the Ottoman Empire from Yemen to the time of the book’s release. 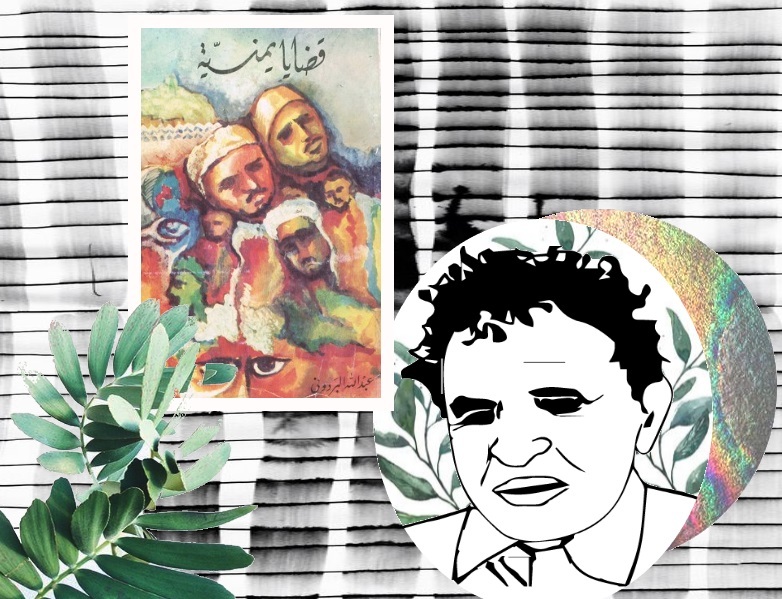 Beginning in ‘First Departure’ and ending in ‘National Anthem’, the author documents the historical and social movements which created contemporary Yemeni culture. He discusses individuals who took part in developing contemporary Yemeni culture, such as the history of the first Yemeni newspaper, Al-Hikmah; its closure due to ink shortages during the Second World War; its owner’s struggle to keep the newspaper running; and his controversial death after its failure. Meanwhile, al-Baradouni does not pass up the opportunity to use his criticism of a contemporary novel to present differing perspectives on certain issues. He does not forget the reality of art and artists in Yemen, discussing the issue of female musicians who fled to occupied Aden to record their songs. He addresses issues around qat and its use in Yemen. The marginalized remain prominent in his work, further illustrated by his accounts of chants sung by prisoners. The author considers himself a historian, with justification. The acclaimed poet and controversial writerdocuments the social, ordinary, marginal changes, their stages and effects, making them his most important tools in correcting historical misconceptions. 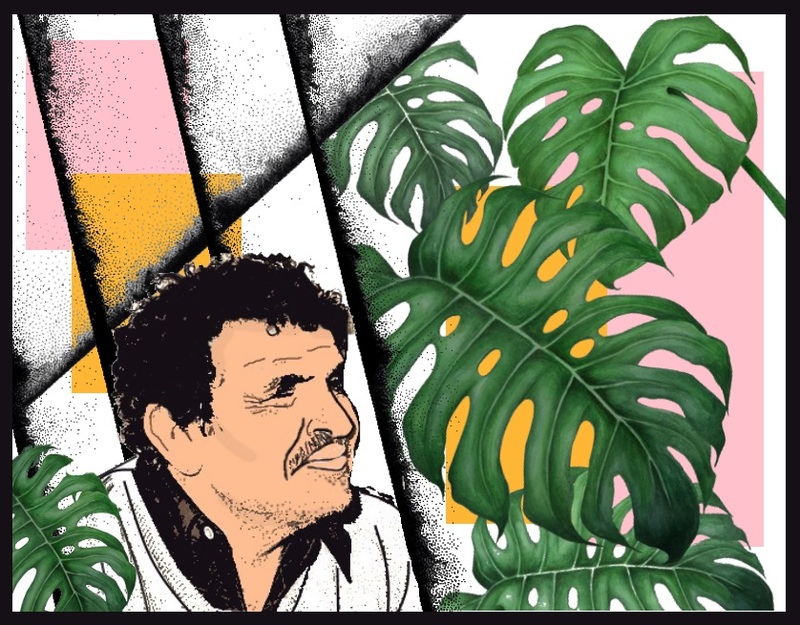 Finally, a simple example to illustrate our meaning: al-Baradouni, in his article ‘Our Literature and Social Change’, simplifies the changes which have taken place in Yemeni society to one ordinary event – reading.